Back in September of 2010, I started a new journey with my local elementary school, and now I would like you to join me on this journey, as I create a series of blogs that describes how a school and its community built an outdoor classroom and learning garden in 2012. During this journey, we will discuss the role of soil in a learning garden- how to maintain the soil in the garden and essential learning activities educators can do with their classes on soil science. In addition, our soil science curriculum, Nourishing the Planet in the 21st Century, is available online for free; all three levels of our curricula have been favorable reviewed by the Smithsonian Institution and written in conjunction with the BSCS. I understand that not every school and community will need or want a garden as large scale as the one I am working on. But I hope you will follow this series to get inspired and learn some best practices. There is so much you can teach with soil science in an outdoor setting! Being the “never say no” mommy, I am on the school PTO. At the September meeting, a teacher requested that the PTO would look into adding some sort of shade structure to the school courtyard. This area had once been a garden but the school had to dismantle it when they had a change in staff and added an addition onto the school. Over the next month, the PTO looked at different shade options, when an entirely different vision began to develop. What if we transformed this space back into a learning garden? Several teachers and staff members had begun this process before; they had talked about it and even written a few grants. At the October PTO meeting, we decided to pay a landscape company to draw up a plan for the school courtyard. We surveyed the teachers to get an accurate picture of what they wanted in an learning garden and presented these ideas to the architect. I think it is essential to get a nice understanding of what all of the stakeholders in a learning garden would like to see or be able to do. This was so exciting for me; I was going to have the opportunity to use my education and work experience to benefit an elementary school that we loved. Moreover, the added advantage was that my daughters would have this unique space to enrich their elementary education. From my experience, I know that the inclusion of nature and gardening adds awe and wonder to the school environment. The landscape plan was presented to the PTO and staff members. There were a few tweaks and alterations. We consulted with our county extension horticulture agent, who helped us choose trees and shrubs that were native and would thrive in our area. We also considered each plant’s blooming time. We want our landscape to be in its most beautiful state when the kids are in school. 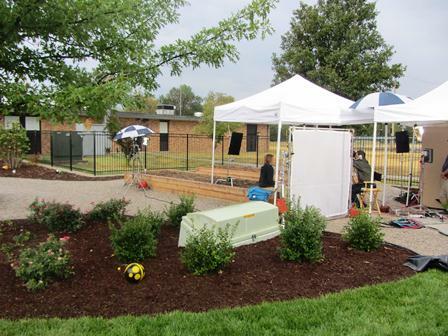 There are many different things to consider when building an outdoor learning environment for a school, and it is my plan to go into more detail in a later blog. Along with a landscape plan comes a budget and many questions. How long would it take to raise enough money to install the proposed 10,000 square foot outdoor classroom? Well, that depended upon how hard we wanted to work. Did we want to complete installation in phases? Did we want to scale down the plan? What additional items would we need to purchase? How would we train and empower teachers? Would the district staff and school board support our efforts? To address these questions, we formed a committee of eager workers, consisting of teachers and parents, who share the vision and a passion for adding an outdoor element to the school. At our first meeting, we decided that we wanted to do this right the first time. We would raise all of the money and then begin construction. As we considered long-term sustainability, we knew that starting with drainage and irrigation was our first step to doing it right. 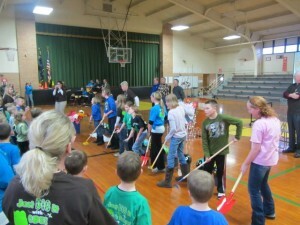 We also knew that we would need an annual fundraiser for maintenance and additions to the space. 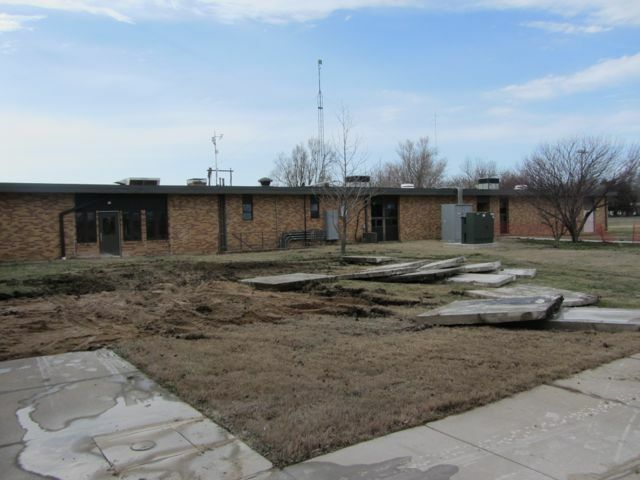 The committee named the proposed learning gardens, “Benton’s Backyard.” Fitting name, as the courtyard we wanted to transform is in the back of the school. Members of the committee brainstormed and researched different fundraisers and grants. We decided to have an annual spring plant sale and apply for local and national grants. Moreover, as a “never says no” mommy does, I volunteered to write a majority of the grants in my spare time (wink, wink! Mommies do not have any spare time; we make time for the things we are passionate about). For the past year and a half, we have worked at securing enough money to build Benton’s Backyard. There is a lot to say about raising money, and it is something I will go into more detail in another blog entry. 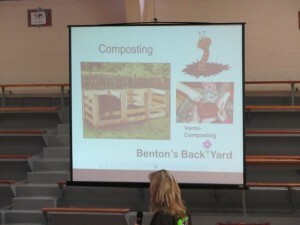 With plan in hand, we presented Benton’s Backyard to the school superintendent and school board. Having their support and dare, I say, enthusiasm, for Benton’s Backyard has been phenomenal. The school has not given any money towards the project; rather, they assured us the space would be protected from future school expansion and have blessed the project and opened doors for us to move forward. A year and a half later, with the addition of a $10,000 sponsorship from Nutrients for Life, we broke ground on Benton’s Backyard and have begun construction. The groundbreaking ceremony was like a big pep rally (you do not normally hear about gardens and pep rallies in the same sentence; that is how excited we are about this project)! It had snowed the night before and it was too cold and muddy to go outside, so the ceremony was moved into the gymnasium. In attendance was the school superintendent, vice superintendent, district ground and maintenance superintendent, three school board members, three principals from other district elementary schools, construction company representatives who are donating their time to constructions, local newspaper reporter (of whom I shared a press release about the pep rally and project), students, staff and parents. Utilizing a PowerPoint presentation, we were able to show them the different features that would be added to Benton’s Backyard. 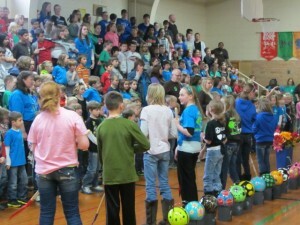 Our students were saying, “oh and ah” clapping and cheering! The best part of the ceremony was when the kids sang, “You are my Sunshine,” and a song written by our music teacher about Benton’s Backyard. It went something like this, “Benton’s Backyard, won’t you bloom and grow, bloom and grow” sung to the tune of “Buffalo Gals.” They were accompanied by five guitar playing teachers (yes, it was awesome)! It so humbling to know that this vision has turned into something that’s impact will not be fully known, as decades of students will benefit from the hours of thought and planning that yielded this moment. After the ceremony, things were underway. The construction company came in and ripped up all of the concrete. Progress was immediately obvious. Amazing that we have come this far since September 2010, yet we have just begun getting our hands dirty.